Thanks for the nudge, Mr. Zuckerman. Although I don't know what the problem is. Over the past four years I've published like, six posts. That's 1.5 per year for the luvagod. At 0-2, the Redskins head up to New York on Sunday to take on the New York Giants. 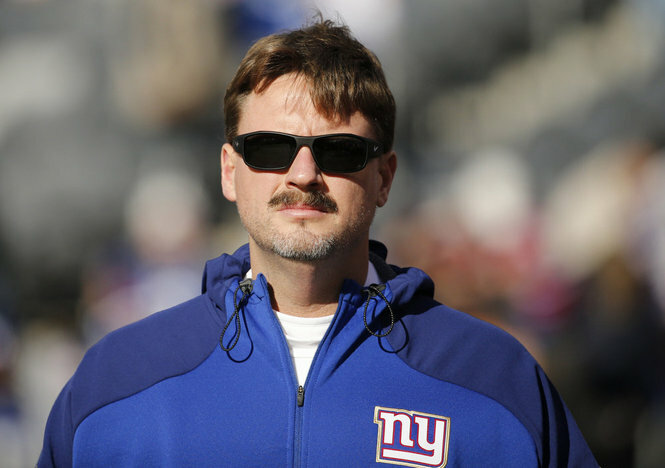 Not Tom Coughlin's Giants any more, mind you, but some guy named McAdoo's Giants. Dude with bad hair and zero resume. I always hated going to play Coughlin's Giants every year ... his teams always seemed so competent. So I was kinda happy when the old guy finally was shown the door. I mean, respect and all, but damn. Enough. Turns out the Redskins are 4-12 up in the Jersey swamp over the past 16 games. Not good. Coaches get fired for 4-12. Add to that Kirk Cousins hasn't exactly lit up the Giants in his brief career either. "Cousins, 28, has had four starts against the Giants in his Redskins career, and the statistics aren’t pretty. With Cousins at the helm, the Redskins split their meetings with the Giants last season but were beaten by double digits in each of his starts in relief of Robert Griffin III in 2013 and 2014. In four starts against the Giants, Cousins has completed 88 of 160 throws (55 percent), with three touchdowns, eight interceptions and one lost fumble. The ugliest outing came at FedEx Field in Week 4 of 2014, which was Cousins’s second start after Griffin suffered an ankle injury in Week 2. The Redskins turned over the ball six times in the 45-14 loss, and Cousins accounted for five of the team’s six turnovers, fumbling once and throwing four second-half interceptions. The Giants scored 31 points off turnovers." It's not hard to contemplate what next week will look like around DC if the Redskins should do what the football world expects, and have their posteriors handed to them this weekend. At 0-3, all that happy offseason talk about patience and a steady franchise rebuild under GM Scot McCloughan will get drowned out by fast-rising drum beats from the hills, incensed and indignant calls for pink skips, and brisk pitchfork sales all around the DMV. What I'm saying is, this would be a really good time to steal one, Washington. The difference between 0-3 and 1-2, with the woebegone Cleveland Browns coming to town offering a chance at .500, is impossible to understate. If 2016 is to stay on the rails for the Washington Redskins, it had better start with a gutty and improbable win against Mr. McAdoo's undefeated (yeah, I know) New York Football Giants.